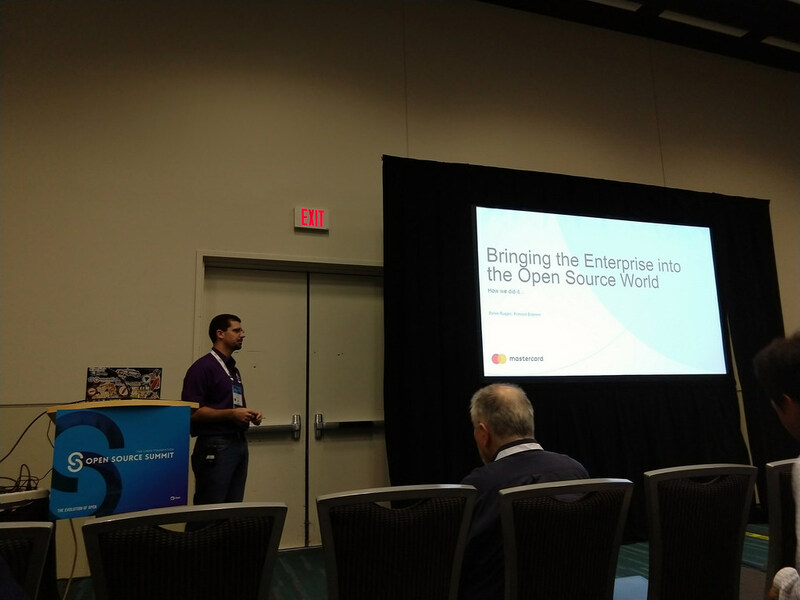 This was my second Open Source Summit in North America, having followed the one in Los Angeles last year, which I wrote about last September. 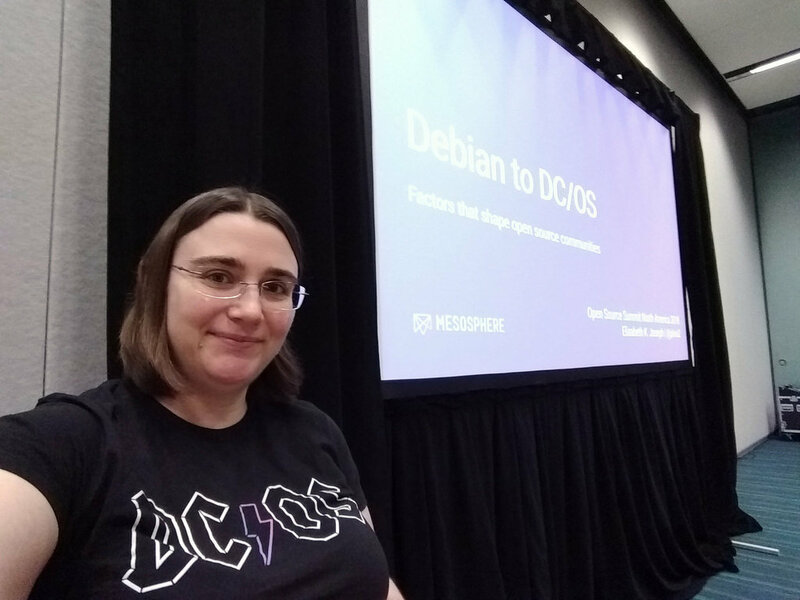 At that first conference I spent most of my time getting familiar with the space around containers and Apache Mesos that I’d been quickly ramping up on. 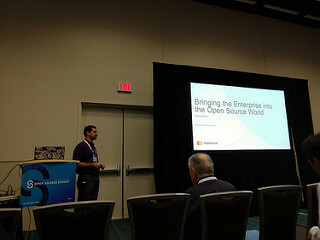 This year my focus was a bit different, as I was taking a greater interest in the topic of how well-known companies are approaching the development of open source programs offices (OSPOs), so I spent more time in the tracks related to the Linux Foundation’s TODO Group. 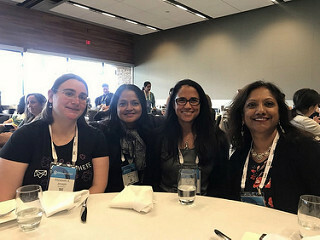 It’s been enlightening over the years to participate in multiple Community Leadership Summits and the maturing developer advocacy realm where conferences like DevXCon highlight the work of various types of communities, stretching well beyond open source. In my current role I’ve shared some of the guides coming out of the TODO group and it’s been interesting to see the case studies be released from companies like Comcast and Capital One. During the Open Source Summit itself I heard talks from Fidelity, Uber, Mastercard, Microsoft, and even the US Department of Defense about how they run their OSPOs or similar programs. I think what was most interesting about these talks is that they all had themes and trends I was familiar with on a practical level and which matched my own experience, but they also all stressed crafting the program to the existing company culture. This may seem obvious, but in every case these companies needed someone who was not only well-versed in open source, development practices, and licensing, but swho was flexible to make the best practices work in the environment they were working in. In many cases this even meant foregoing some of the “best” practices in order to succeed. 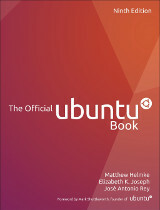 Still, flexibility required aside, I’m really excited to see these organizations getting together in a group to put together the guides for the things that are most commonly shared among organizations. It gives anyone who is seeking to build one of these programs a baseline instead of each figuring it out on our own, as we’ve been doing for years. On top of the baseline, you can then get creative and build precisely what you need for open source to succeed in a company, whether it’s working on upstream projects, releasing your own software, or something else. That week also saw the release of the first Open Source Programs Survey, which reflected the current state of companies considering, using and valuing the work of these programs. 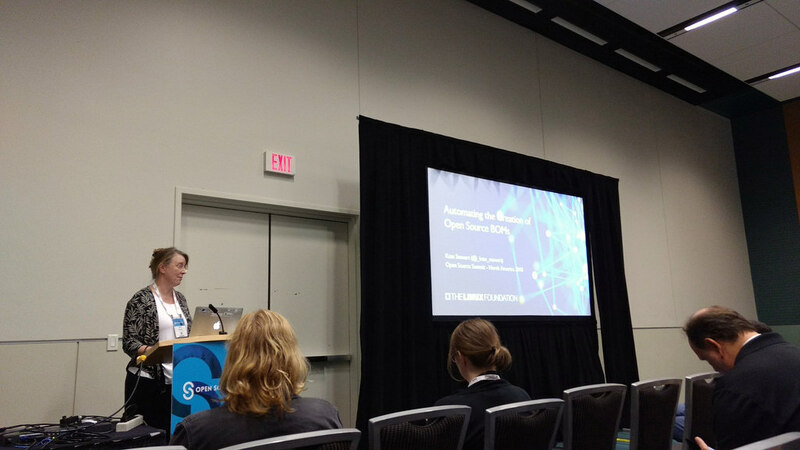 I also saw a talk from Kate Stewart on automatic open source compliance tooling, something that tends to fall under the purview of an OSPO, with assistance from a legal team versed in licensing. For my part, I gave a refined version of a talk I’d given with my former colleague Judith Malnick at DevXCon a few months before titled From Debian to DC/OS: Factors that Shape Open Source Communities. I adapted it to be a single person talk and extended it to the forty minute time slot by adding additional characteristics of communities that I’d been thinking about in the months that had transpired. Some things like project culture and the ecosystem you’re working in have a large impact on how you’d approach a community, which I think we glossed over in the earlier version of the talk, even if our conclusions hinted at them. It was also my first talk in a very long time where I was editing slides they night before when inspiration struck and I realized how I could tie a couple of my key points together. Usually my talks are practiced and sealed a full week before the event. Slides from my talk are available here (PDF). Keynote-wise the two that stood out for me were when Sarah Novotny announced that Google was making an investment to support Kubernetes testing tooling to be something that’s community-maintained (near and dear to my heart!) 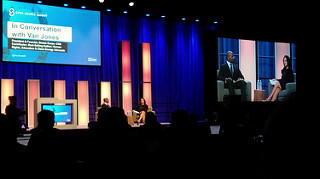 and the interview with Van Jones who shared his thoughts on diversity and offered hope in a time when a lot of us are struggling. The conference attendee party took place at the nearby Vancouver Aquarium, which made for an incredibly nice place to be even when I didn’t always have someone to chat with. Take note: introverts of the conference appreciate the dolphins and otters to look at so awkward social feelings are kept to a minimum. I also attended a women of open source lunch during the conference, which I was delighted to see what even bigger than the one last year in Los Angeles! As far as the rest of the conference goes, I had a really nice time. There are a few people who I only get to spend a lot of time with when I’m at events like this, and I enjoyed the impromptu meals I ended up with random people who were actually doing work near to what I was doing. Plus, as I’ve said before, that conference venue in Vancouver is one of my favorites. It’s right on the harbor so you get amazing views all week of the water and mountains. This entry was posted on Tuesday, September 25th, 2018 at 3:48 pm and is filed under events, tech, travel. You can follow any responses to this entry through the RSS 2.0 feed. Both comments and pings are currently closed. Entries (RSS) and Comments (RSS). 21 queries. 0.087 seconds.